What Happens If the Iran Nuclear Deal Stays? President Donald Trump has been beset by a tumultuous September and now October with hurricanes battering Texas, Florida and Puerto Rico, North Korean belligerence and the horrific massacre in Las Vegas. No one would question that the burdens of being president right now are great. But President Trump faces a self-imposed Oct. 15th deadline as well to decide what he wants to do with the Iran nuclear deal, which he has previously described as a terrible deal and with that decision comes a whole new raft of challenges. In many ways, he has options that other presidents would not have since he comes at this point with essentially a clean slate. He can take several options such as continuing to certify the Iranian regime in compliance with the deal, but continuing to hold the mullahs over a proverbial cliff edge; threatening to pull out at any time. The agreement’s renewal window gives him the opportunity to continually threaten the mullahs. Secretary of State Rex Tillerson offered that the president would have multiple options in addressing the Iranian conundrum. What is clear though is that while the nuclear agreement is being widely hailed by the Iran lobby and regime supporters as a success, the issues many critics and even the president have with it is that the deal was too narrow and gave a free pass to the regime on a whole host of issues such as development of ballistic missiles that were nuclear-capable. Much of the instability the Middle East is experiencing has its central roots planted in Iranian soil where the mullahs have sought to use their Revolutionary Guards and Quds Forces to actively initiate and carry out military conflicts on multiple fronts, including Syria, Iraq, and Yemen. Those militant acts drew the U.S., Russia and Saudi Arabia into armed conflict and pitched the world dangerously closer to global confrontation. The funneling of cash to the Assad regime in Syria and terrorist operations such as Hezbollah and Shiite militias in Iraq have been a fundamental reason for why sectarian conflicts have sprouted all around the world like noxious weeds. The mullahs have always viewed the use of funded third-parties as a legitimate tool of state-craft, which is why Iran has consistently been at the top of the U.S. State Department’s list of states that sponsor terrorism. But not only has Iran’s foreign policy been a source of consternation for the world, but its internal domestic policies have also fueled this militancy because the nuclear deal left in place all of the mechanisms of the theocratic regime and provided no boost or reprieve from embattled democracy and dissident advocates within Iran. If anything, the deal only emboldened Hassan Rouhani and his puppet master, Ali Khamenei, to crack down even harder on internal dissident with impunity; leaving human rights within Iran shambles and subjecting the Iranian people to enormous hardship and deprivation. Dissident groups such as the National Council of Resistance of Iran have long documented the steep, downward spiral of human rights in Iran since the nuclear deal was agreed to and lack of movement within Iran. This disconnect between the nuclear deal and lack of any inclusion of restrictions on Iran beyond the very narrow scope centrifuges and uranium explains much of what has gone terribly wrong with Iran. In many ways, its failures mirror the failures of efforts to control North Korea whose own flawed nuclear agreements served as the templates for the Iran deal. What is clear though is that the Iran lobby is working feverishly to frame the debate of a post-deal world as being an abysmal one for the U.S.
Take for example an editorial in the Los Angeles Times by Seyed Hossein Mousavian, a Princeton University scholar and a former Iranian regime official, in which he portrayed Rouhani’s 2013 election as an act of moderation now threatened by the nuclear deal’s demise. Mousavian neglects to note Rouhani’s re-election against the backdrop of President Trump’s widely publicized views on the nuclear deal. If “hardliners” in Iran were empowered by the president’s rhetoric, then by Mousavian’s own standards, Rouhani’s 2017 campaign should have gone down in flames. But as a former regime official, Mousavian’s insights are pointless since they do little to illustrate any opinions contrary to the wishes of Khamenei and his mullah brethren. Indeed, it would be explosive if Mousavian voiced any criticism of the regime’s support for terrorism and its quick build-up of ballistic missiles as excuses the president is using to dump the deal. 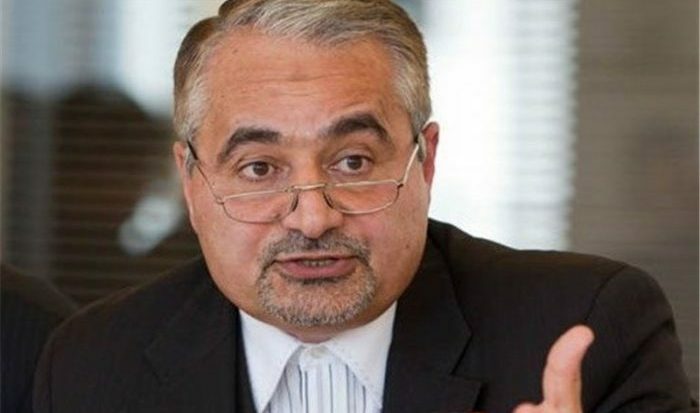 If Mousavian was truly an agent for global peace efforts, he would have encouraged his former colleagues to abandon the most odious portions of the regime’s abuses to give the president less ammunition to derail the deal. Mousavian’s lack of any discernible criticism in any area places him squarely in the camp of Iran loyalists. “Because Trump has put the deal in his crosshairs, advocates of diplomatic engagement with the West in Iran are being discredited. If he goes ahead with his stated wish to undo it, a domestic consensus will form not to trust, negotiate or cooperate with the United States on any future issue,” Mousavian writes. It’s a ludicrous statement to make since everybody knows that when it comes to Iranian regime’s policies, it’s the Supreme Leader, Ali Khamenei who makes all the decisions; and the rift between various rivals within the regime is due to the power struggle they have on who gets a bigger share. It’s long known that it’s the Iranian lobby’s narrative to advocate more dialogue with the regime, to strengthen the so-called moderates within the regime, whereas when it comes to the foreign policies of the regime, Iran has done more in support of terrorism during the “reformist” Rouhani’s tenure, in its meddling in Syria, Yemen, Iraq and in employing the Hezbollah and other extremist proxy forces in those countries, than his predecessor, hardliner Ahmadinejad. Likewise, human rights organizations reports show that under Rouhani, there have been a lot more executions than any of his predecessors in the past 25 years. The reality is that the Iranian regime has squeezed everything it could get from the nuclear deal in terms of pallets of cash delivered by the Obama administration to a lifting of economic sanctions to allow foreign companies to broker deals. Even if the president were to dump the deal, the reality is that very little would initially change except the rhetoric coming from Tehran and from supporters such as Mousavian.